We work to address health inequities by providing schools in low-income communities with integrated food education. Equal access to healthy food is essential. Too many of NYC’s 1.1 million public school students aren’t getting the food they need to thrive. Obesity rates in East Harlem are three times what they are on the Upper East Side, just a few short blocks away. An edible education is about more than just food. Edible Schoolyard NYC is growing healthier kids through a grassroots approach to food education that combines academic rigor with hands-on, creative engagement. Working with food is fun! Our approach brings a joyful, creative, and interactive experience into the classroom. Transforming the hearts, minds and eating habits of young New Yorkers through an integrated seed-to-table education. 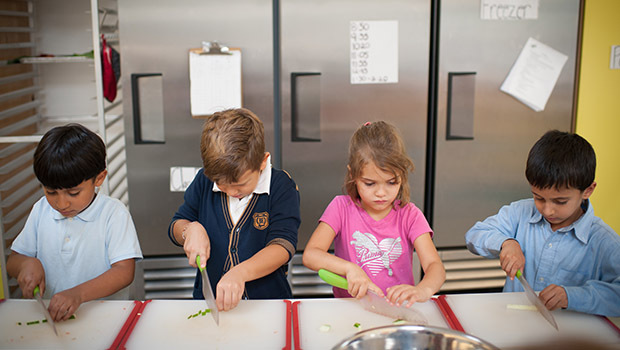 Through seed-to-table food education in public schools, we’re growing the next generation of healthy children.